A construction delay is a feared concept in the realm of construction work, however; delays are mostly unavoidable. A construction delay can create a costly situation for all parties involved. Having to spend more money on sub-contractors, services, and insurance makes for a complicated dynamic and raises the possibility of conflict. A lengthier timeline disrupts the goals of all parties invested in the success of the project. Although construction delays are mostly unavoidable, there are strategies contractors can take to identify delays, lessen the impact and limit the loss. These steps can also help in prevailing where fault is on another party. Construction delays are often caused by unforeseen circumstances that are not properly addressed (or not addressed) when identified. The owner, contractor and sub have a meeting to review the project budget. The contractors foresee that the budget for cement may not cover the anticipated need. An order for the additional amount needed will take an additional week for delivery. The contractor miscalculates and does not engage in activities that will address the issue. This is one example of how a delay may arise. Other causes of delays include miscommunication between involved parties, over or under budgeting, foreseen acts of God. Hiring an attorney is a great start to mitigating harm. An outside expert can review documents, plans, and the budget, to provide advice on points that are easily overlooked by parties involved. Another strategy is to anticipate the harm before it occurs. This requires special attention to the progress of the project. Anticipated harm should not be ignored, but properly addressed no matter the likelihood of its occurrence. Engaging in this activity also allows time to mitigate possible harm. Documenting foreseen harm creates a reliable record in case of legal recourse. This is especially the case with the revolving door of subs and service providers. The project foreman should create a culture of record keeping (note-taking, noting observations and calls, retention of important documents that are relevant) providing ease when investigating the delay. Parties who do a better job at record keeping also have a higher chance of prevailing in court should a party bring the delay issue into court. With data collection and record keeping comes analysis. Contractors should analyze important records as a means to anticipate delays and mitigate harm. Studying the construction contract can help when faced with a lawsuit. For one, it is worth knowing the specific term concerning damages for delays. This can help with strategizing if a delay does occur. The type of damages term agreed upon carry varying implications. These implications usually manifest in court or at the settlement stage. But you do not have to wait until then to become familiar. Actual damages require more concrete and specific harm. In other words, if you seek actual damages, record keeping and solid evidence is essential. Liquidated damages are agreed upon by the contracting parties and may not cover the magnitude of the damage. When contacting around delays, it is wise to consider the damages term and how it will work in your favor. Although construction delays can be unavoidable, there are ways to mitigate harm by anticipating loss. The first step is hiring an experienced construction law attorney who can guide you through the contracting stage and advise on possible risks. 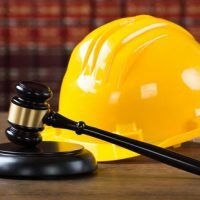 Attorney Brendan A. Sweeney is an experienced construction law attorney with years of experience litigating and advising on construction law issues. Contact us for a consultation.